I’ve been reading a lot lately. About two months ago, I gave up on buying new Kobo eBooks when yet another book crashed my Adobe Digital Editions upon download. I now buy my books on Amazon Kindle, after my husband gave me permission to use his credit card for it. This is very lovely. However, I still have a ton of Kobo eBooks I haven’t finished. One of them, which I just finished tonight, is Doctor’s Notes by Rosemary Leonard. For BBC Breakfast’s Dr Rosemary Leonard, a day in her GP’s surgery is full of unexplained ailments and mysteries to be solved. From questions of paternity to apparently drug-resistant symptoms, these mysteries can sometimes take a while to get to the bottom of, especially when they are of a more intimate nature. In her second book about life in her London surgery, Dr Rosemary recalls some of her most puzzling cases… and their rather surprising explanations. I loved reading about Dr. Leonard’s interesting patients, their unusual symptoms and the creative ways in which Leonard found out what’s really going on. Dr. Leonard has a special interest in women’s health, so women wirh varying kinds of female issues often come to her practice and make it into her book. This was really interesting. However, I still managed to take many months to finish the book. The reason is, I suppose, that the chapters are pretty long and the stories can get a bit long-winded. I however did like how Leonard wove together several stories into each chapter. It is also interesting to learn about each patient as they move on after consulting the doctor. Of course, some stories remain somewhat open-ended, such as the one in which a woman doesn’t know whose child she’s pregnant with. This is only to be expected, as Leonard doesn’t follow each patient for decades. Most stories indeed have some type of interesting plot twist, as Leonard figures out what is the real problem causing apparently-mysterious ailments. I loved that, but here the long chapters got a bit in the way. Last month, my husband took my Burt’s Bees lip balm that I had bought a long while before (and wanted to review but never did) home with him. I make my own lip balms, but there wasn’t one he liked. Quite honestly, most that I make are way too hard for my liking too. That being the case, I needed, or at least wanted, some new lip balm. I checked LookFantastic.com, because I’d bought my Burt’s Bees lip balm there. However, even though I loved it, I didn’t want the same balm again. That’s me being adventurous. 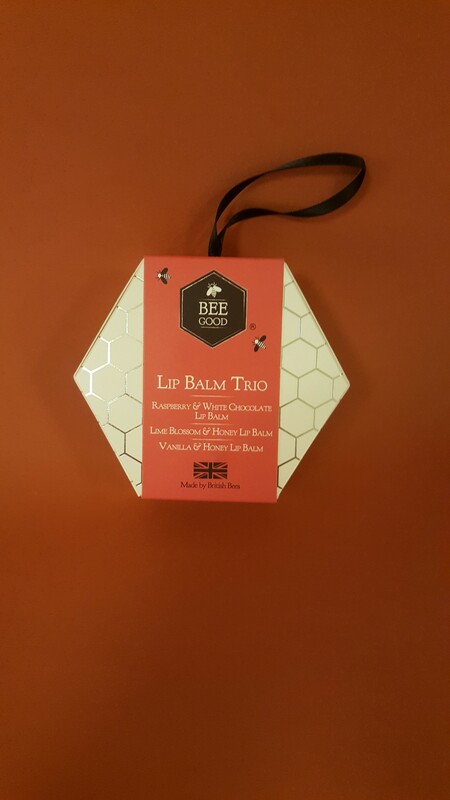 I don’t remember whether I found the Bee Good lip balm trio in the Christmas selection or in the general gift finder. The packaging looks pretty appropriate for the holidays or so I’m told. I loved the shape of the packaging, though the lip balms didn’t seem to fit into it neatly side by side. The biggest drawback of the packaging was that it was hard to open without tearing it up, at least with my poor fine motor skills. The packaging should be reuseable, but I preferred to just let the lip balms sit beside my sink. There are three lip balms in this set, of course: vanilla & honey, lime blossom & honey and raspberry & white chocolate. Each is supposed to intensely repair dry, chapped lips. They are enriched with British beeswax. That’s not surprising, as I also always use beeswax in my lip balms and haven’t seen any recipes that don’t use it. However, I tend to think it’s the beeswax that makes my lip balms so hard. 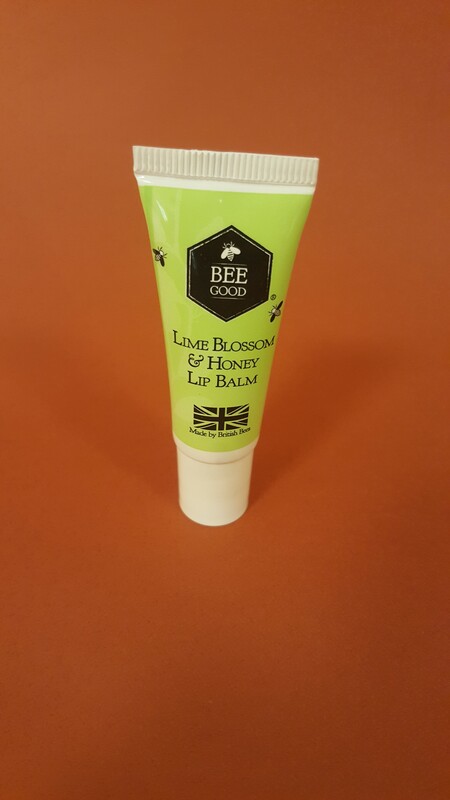 These Bee Good lip basm are surprisingly soft. Each tube has what is called a tapered delivery tip. I don’t know what that means, but it’s supposed to make application easier. Indeed, it’s pretty easy to apply just the right amount of lip balm, at least once I figured out how the tip works. Also, the tip looks like it’s quite hygienic. 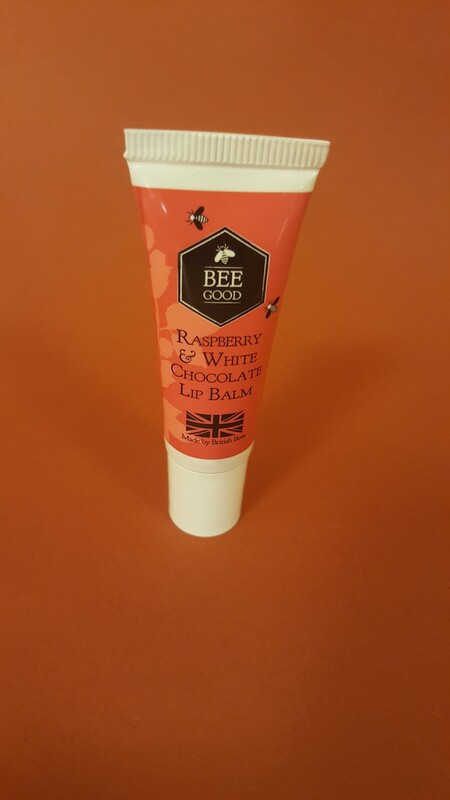 I started out by trying the raspberry & white chocolate lip balm. I loved its scent. I was a little surprised to find what felt like exfoliant on my lips. That I think just meant I applied a little too much. 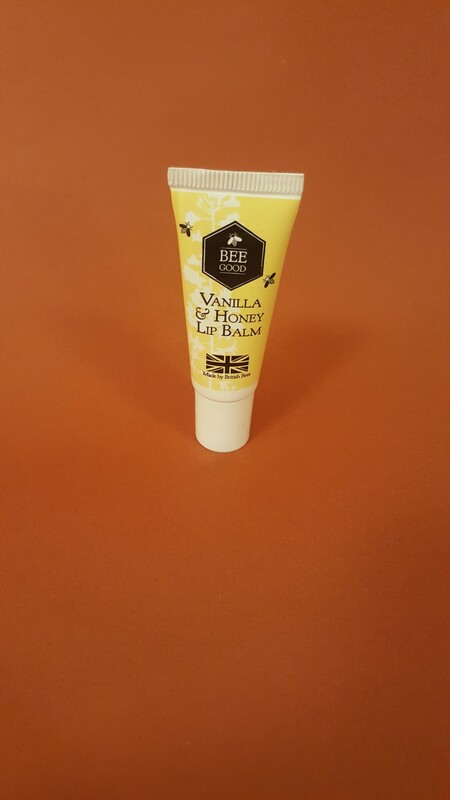 I later tried the vanilla & honey lip balm. This lip balm’s scent was even better. I love vanilla and honey and both could be easily smelled. Lastly, I tried the lime blossom & honey balm. That one’s scent was just too citrus-y for my liking and I didn’t smell the honey. Now I hadn’t expected to like that one, so it wasn’t too big of a disappointment. I have this weird experience where, though my lips could sure be repaired by lip balms, they feel worse after the lip balm wears off. That is no different with this trio, but at least it isn’t worse. Overall, I like this set. Last June, I got a Bookshare membership after delaying it for years. The proof of disability form had literally been sitting in my drawer since like 2010. Granted, back then people who weren’t U.S. residents or citizens had only very limited access to books, so it was hardly worth it. Since the Marrakesh Treaty though, international distribution of books for the purposes of access for visually impaired people is much easier. Don’t ask me about the technicalities. I’m just happy that most books are now available to me. I read My Sister’s Keeper by Jodi Picoult in like 2005, when I briefly used the UK’s National Library for the Blind. I was no longer able to use their services after some books were lost on the way back. Yes, they at least used to distribute Braille books to international members only. Anyway, since reading My Sister’s Keeper, I badly wanted to read more by Picoult. Partiuclarly, I wanted to read Handle With Care from the moment it came out. Now, with my Bookshare membership, I got a chance to read it. Because I started reading many other books too, I didn’t finish Handle With Care till yesterday. Here is my review of it. It contains spoilers! When Willow is born with severe osteogenesis imperfecta, her parents are devastated–she will suffer hundreds of broken bones as she grows, a lifetime of pain. Every expectant parent will tell you that they don’t want a perfect baby, just a healthy one. Charlotte and Sean O’Keefe would have asked for a healthy baby, too, if they’d been given the choice. Instead, their lives are made up of sleepless nights, mounting bills, the pitying stares of “luckier” parents, and maybe worst of all, the what-ifs. What if their child had been born healthy? But it’s all worth it because Willow is, funny as it seems, perfect. She’s smart as a whip, on her way to being as pretty as her mother, kind, brave, and for a five-year-old an unexpectedly deep source of wisdom. Willow is Willow, in sickness and in health. Everything changes, though, after a series of events forces Charlotte and her husband to confront the most serious what-ifs of all. What if Charlotte had known earlier of Willow’s illness? What if things could have been different? What if their beloved Willow had never been born? To do Willow justice, Charlotte must ask herself these questions and one more. What constitutes a valuable life? The book, like My Sister’s Keeper is written from every main character’s viewpoint alternatingly except for Willow’s. Throughout the book, the main characters tell the story as if addressed to Willow. In other words, she is referred to as “you” all the time. I like this. Even though Willow doesn’t get a voice till the near end of the book, the other main charactes do give the reader a great insight into her character. All main characters are very well-formed. Because of this, a lot of other stories are interwoven with the main story of the wrongful birth lawsuit that Charlotte files against her obstetrician. For example, Piper, Charlotte’s obstetrician, is also her best friend. Marin, Charlotte’s lawyer, is dealing with the search for her birth mother. And Amelia, Willow’s sister, struggles with bulimia and self-injury. Because each charater gives their own viewpoint, both sides of the wrongful birth lawsuit are equally described. Though I hoped most of the time that Charlotte would win, I also symapthized with the other party. I wasn’t sure of the outcome until it was spelled out in the book. The fact that the book has a lot of twists and turns, so that you’re never sure of how it ends, is mostly a good thing. It ends up being a very bad thing though as I read the last few pages. The book ends with Willow dying, which in my opinion only spoiled the entire book. I mean, there was some point to Anna dying in My Sister’s Keeper. I didn’t see that this time. As such, the book definitely deserved a five-star rating before I’d completely finished it. Once I’d read those last few pages, not so. As most of you know, I know very little about the traditional blog topics, like fashion and beauty. Nonetheless, I have been perseverating on body care products lately. I have an insane collection of shower gels and have started to collect various other products. I like to write about them on my Dutch blog. Thankfully, the activity staff help me take pictures, because I know that product reviews don’t do well without a picture. 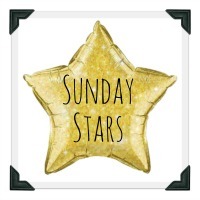 Today, I have my first beauty product review for this blog. 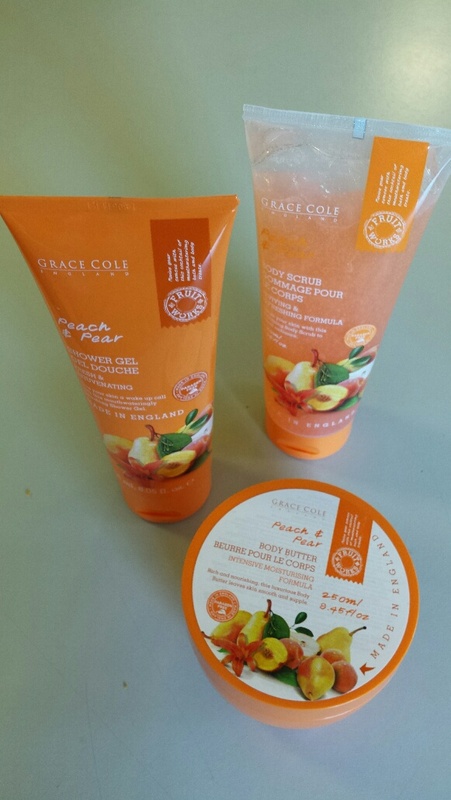 I review three products fro the Grace Cole Fruit Works collection: the peach and pear shower gel, body scrub and body butter. I bought them at a Dutch store. I originally intended on buying the pineapple and passion fruit products, but one of them was sold out. I didn’t want to pay the shipping cost to get the products directly out of the UK. First, my general impression. I hadn’t expected the body scrub to come in a tube. As a result of this, the shower gel and body scrub packaging feels exactly alike. I labeled the tubes and the body butter pot, but Braille labeling tape is not great for sticking when it gets wet. As a result, the body scrub label came off when I first used it. I put on a new sticker and – knock on wood – it’s still on. When I opened each product to smell it, a very strong, fruity scent flew into my nostrils. It was great, but maybe a little too strong. The scent is the same for each of these three products. Both the peach and pear scents are recognizable, although upon first opening the products, I mostly smelled pear. The shower gel is pretty thin. That’s a drawback, because too much easily comes out of the tube. Since my natural instinct is to hold the tube in its standing poisiton, which is with the lid facing down, I easily made a mess. 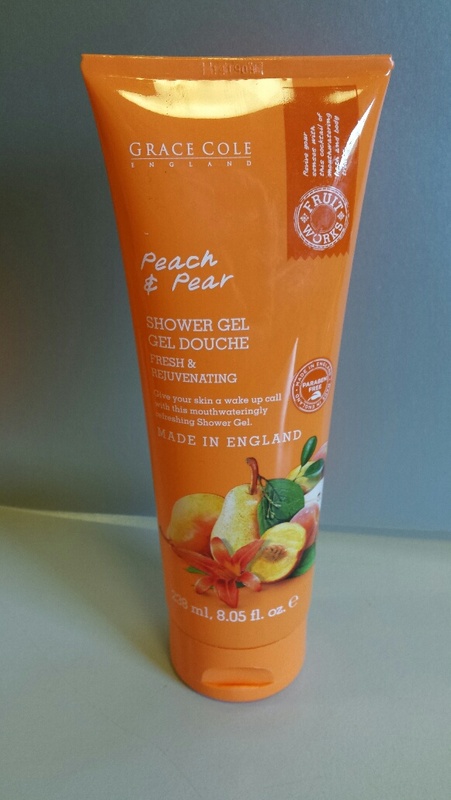 However, once I got used to how thin this shower gel is, I no longer made as much of a mess. I apply the shower gel with a sponge. A washcloth might work better because of how much the sponge absorbs, but I like the feel of a sponge better. The body scrub is a tiny bit thicker than the shower gel. At first, I didn’t like it that it’s in a tube, but now I prefer a tube to a pot, because it’s easier to spread the product over a sponge without getting a huge amount on one end and nothing on the other. 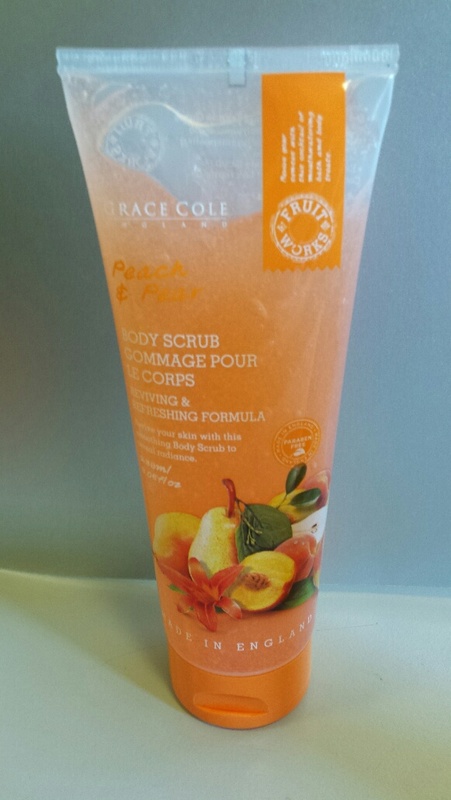 I have only ever usedtwo other body scrubs, so I can hardly compare the feel of the exfoliating grains. They feel relatively large though. My skin feels a lot softer after applying this body scrub. The body butter, like the shower gel, is pretty thin. It’s more like a thick cream than a butter if you ask me, and I prefer body butters to body creams. At first, it also took ages for the body butter to be absorbed by my skin. That was probably because, thinking it would be thicker, I’d applied too much. 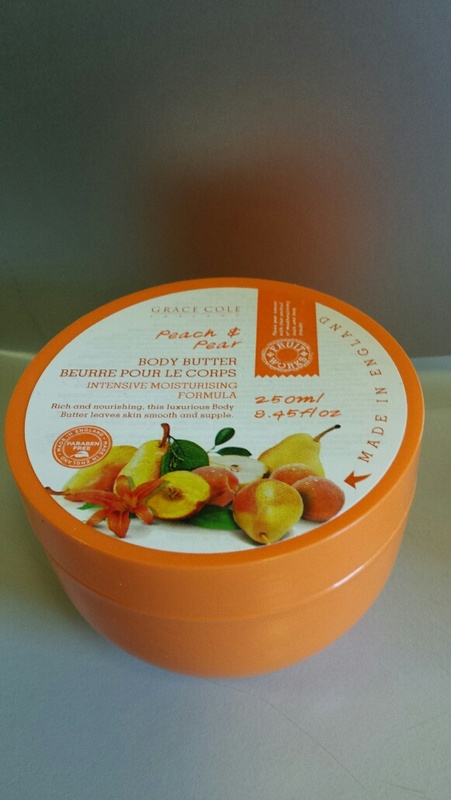 The second time I used the body butter, it was absorbed pretty quickly. This body butter does leave a bit of a greasy layer on your skin, but it’s not too bad. When applying each of these three products, the scent is less strong than it seems when smelling the products out of the tubes or pot. I like that. It’s still strong enough to last for a while but not overwhelming. To conclude, I am not over the moon about these products, as I thought I’d be, but they are still pretty good. The Dutch store where I bought them carries many of Grace Cole’s bath and body products. I am still curious to get more of them. When looking at the official Grace Cole site in the UK, I discovered they also sell lip care products. Unfortunately, I’ve not been able to find them in the Netherlands, so I guess I’m at some point going to pay the shipping cost to get them. Last January, when I’d just finished a few other books, I decided to look around for another young adult novel to read that’s about a subject I’m interested in. I stumbled upon Rules for 50/50 Chances by Kate McGovern. The book sounded interesting enough, so I bought it and started reading. Due to some other interests demanding their time from me, I didn’t finish it till yesterday. This review may contain spoilers. Seventeen-year-old Rose Levenson has a decision to make: Does she want to know how she’s going to die? Because when Rose turns eighteen, she can take the test that tells her if she carries the genetic mutation for Huntington’s disease, the degenerative condition that is slowly killing her mother. With a fifty-fifty shot at inheriting her family’s genetic curse, Rose is skeptical about pursuing anything that presumes she’ll live to be a healthy adult-including her dream career in ballet and the possibility of falling in love. But when she meets a boy from a similarly flawed genetic pool and gets an audition for a dance scholarship across the country, Rose begins to question her carefully laid rules. Pretty early in the book, I found out who the boy from the similarly flawed genetic pool mentioned in the synopsis is. His mother and sisters have sickle cell disease, but he doesn’t carry “the gene”. There’s where McGovern puts a glaringly obvious medical inaccuracy in the book, that is, that sickle cell is a dominantly inherited disease. There is no mention of the boy’s father being a carrier of the disease and sickle cell is compared to recessive diseases at least once. For those who don’t know, sickle cell is a recessive disease, meaning you need two copies of the gene to get the disease. I happen to know because I once read that people who carry one copy of the gene don’t get sickle cell disease and have the added luck of not getting sick when infected with malaria. That’s why sickle cell is more common among Black people than among Whites or other races. Yes, I did look it up to be sure. This huge medical inaccuracy spoils the entire book for me. That’s probably me though, being autistic and having a special interest in medicne. Now that we got this out of the way, I have to say the book is otherwise quite good. It is a little predictable at times, but there are still enough twists and turns for the book to remain interesting. The author goes into detail sometimes, which I like – but which is also why said medical inaccuracy annoys me. I love getting to know the main character really well. Rose is not just a girl whose mother has Huntington’s. She’s a true round character. I also got a glimpse into the world of Huntington’s (obviously), sickle cell, ballet, and as a added bonus, the California zephyr train ride. Love trains. 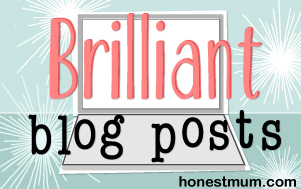 I have published a few posts that were inspired by my reading of the book Believarexic by J.J. Johnson already. I didn’t share many opinions on the book itself though. Early this morning, I finished the book, so I’d like to post a review. This review contains some spoilers. Punctuated by dark humor, gritty realism, and profound moments of self-discovery, Believarexic is a stereotype-defying exploration of belief and human connection. This book is an autobiographical novel. The author describes this quite poignantly at the end of the book as “true make-believe”. What this means is that the author did really get inpatient treatment for her eating disorder in 1988 and 1989, but the details and characters may’ve been changed or simplified. I haven’t yet checked the bonus material, so I cannot be sure whether some of the pretty intriguing events in the book did really happen. For instance, one of Jennifer’s fellow patients is signed out by her parents because they don’t believe the program is working. They decide instead to take her to an orthodontist to have her mouth wired shut. Even though this book takes place in the dark ages of the 1980s, I find it hard to believe such a procedure would be legal even then. I do still see the stark contrast between psychiatric treatment then versus now. Sometimes, I find that characters have been oversimplified in terms of them being either good or bad. Dr. Prakash, Jennifer’s psychiatrist, is nice from the beginning to end, whereas nurse Sheryl aka Ratched is bitchy and controling throughout the book. Still, some characters make quite a transition through the book, and there are incredible twists and turns. The book starts out a bit triggering with for example the hierarchy of eating disorders being quite extreme. Nonetheless, this book is clearly pro-recovery. At the end of the book, the author encourages people who even have an inkling of an idea that they might have an eating disorder to seek help. As may’ve become clear through some of my previous posts inspired by this book, Belieivarexic led me to some interesting insights. For more information on the book and its author and for resources for people with eating disorders, go to Believarexic.com. Yay! I reached at least one of my goals for this month. I finished not just one, but two books I’d started reading earlier in the year. Already in January, before the book was published (or at least before the eBook was), I found out about Unspeakable by Abbie Rushton and decided I wanted to read it. Like with Girl in Glass, other things that seemed more interesting came in the way, so I didn’t finish the book till a few days ago. be heard – that she cannot, must not, let out. Then Jasmine starts at school: bubbly, beautiful, talkative Jasmine. And for reasons Megan can’t quite understand, life starts to look a bit brighter. Megan would love to speak again, and it seems like Jasmine might be the answer. But if she finds her voice, will she lose everything else? This is a fascinating book and it doesn’t go as I’d expected it to go. When I first started reading this book, I thought it’d shed light on selective mutism, in which a peson (usually a child) is unable to speak because of severe social anxiety. Though technically Megan might meet the definition of selective mutism, much more is behind her silence than social anxiety. When reading the first few chapters, I was bored easily, because I had no way of making sense of the story. When I read on, however, this boredom turned into curiosity, then suspense and eventually I was completely captivated. The book has some fascinating twists and turns and some thrilling cliff-hanges, some almost literal. Once I got through the first few chapters, the story kept me thrilled until the very last page. That’s a rare occurrence with the type of fiction I usually read. With this book, Abbie Rushton tells a great story on friendship, love and crime. For those who, like me, are pretty faint-hearted, I’d like to disclose that the story ends on a good note. 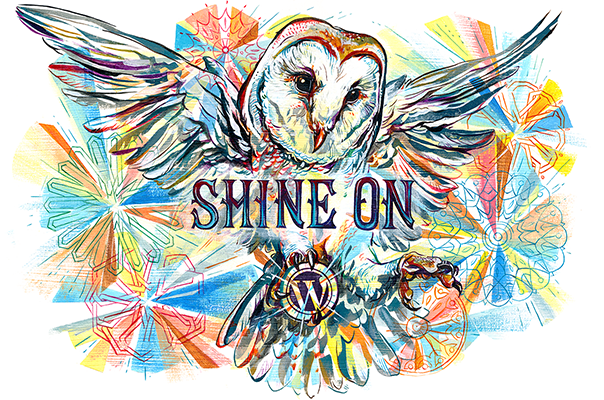 I can’t wait to read Rushton’s next book, which will be out in the spring of 2016. A few months ago, I read on a preemie parent blog about the book Girl in Glass by Deanna Fei. I bought the book, but bought a few others after that one that I thought would be more interesting. As a result, I only finished this book today. would survive another day–and whether she should. But as she watched her daughter fight for her life, Fei discovered the power of the mother-child bond at its most elemental. girl for a cut in employee benefits and attached a price tag to her life, using a phrase, “distressed babies,” that set off a national firestorm. pregnancy; from the wondrous history of medical innovation in the care of premature infants to contemporary analyses of what their lives are worth; and finally, to the depths of her own struggle to make sense of her daughter’s arrival in the world. Above all, Girl in Glass is a luminous testament to how love takes hold when a birth defies our fundamental beliefs about how life is supposed to begin. Once Tim Armstrong, the CEO of AOL, uses Fei’s daughter as an excuse to cut employee benefits, Fei seems still not entirely accustomed to the idea that Mila is not just “generally okay” (Armstrong’s words) but is a blessing. Now I personally don’t like such terms to describe human beings either, but it seems that Fei is still a bit uncertain whether Mila should have been kept alive. This could be her post-traumatic guilt though. However, Fei stands up for her daughter’s right to medical care. She investigates the issues surrounding health insurance and the right to medical care in the United States. Fei claims that, in every other developed country, the question would not be raised whether Mila is worth the alleged $1 million. Of course, I was reminded of the guidelines restricting treatment of premature babies to those born past 25 weeks gestation in the Netherlands. No employer may decide that certain babies aren’t worth the cost of treatment, but that doesn’t mean no such decisions are made. Similarly, while in the Netherlands employers don’t have access to health information (although they might if you buy your mandatory health insurance through an employer collective), governments do. Fei cites a few court cases in which quality of life and the right to medical care were at stake. Unfortunately, she concludes that “obviously”, Sidney Miller, who was a preemie and now has multiple severe disabilities and is unable to walk, talk or feed herself, crosses the line of good enough quality of life. I disagree, but that’s a topic for another post. Fei uses her and other cases to discuss the idea that Mila or any other preemie should have to prove their worth. This idea, which is central to Armstrong’s reasoning and to Mila’s care, evoked a lot of emotion in me. In general, I found Girl in Glass evoked the full spectrum of emotions in me. Mostly though, it evoked sadness and anger. Reading this book was in a way therapeutic, because Fei articulates the sentiments so well that I’ve been feeling for a long time. She also does a great job of investigating all the issues surrounding the health care system when it comes to premature babies. I am a big lover of medical memoirs and stories from doctors and other health care workers. A few weeks ago, I was browsing an eBook store I don’t normally go to, because Kobo has become harder to search and browse. I discovered Cook County ICU by Cory Franklin in the medical biographies and memoirs section. Because that eBook store doesn’t accept PayPal, I bought the book at Kobo anyway. I knew I wouldn’t be able to review it till today, because of the #Write31Days series, and I really had to keep myself from speeding through it. Of course, if I’d finished the book earlier, I could’ve scheduled my review, but in a way I was trying to keep myself from finishing the book too soon and getting bored afterwards. I just finished the book tonight. An inside look at one of the nation’s most famous public hospitals, Cook County, as seen through the eyes of its longtime Director of Intensive Care, Dr. Cory Franklin. the disease was diagnosed, the nurse with rare Munchausen syndrome, the first surviving ricin victim, and the famous professor whose Parkinson’s disease hid the effects of the wrong medication. Surprising, darkly humorous, heartwarming, and sometimes tragic, these stories provide a big-picture look at how the practice of medicine has changed over the years, making it an enjoyable read for patients, doctors, and anyone with an interest in medicine. Like the synopsis says, the stories in the book are mostly fascinating. I loved learning about the first surviving ricin poisoning victim and the suicidal biochemist. These obviously have got to be the first stories I mention, because I’m fascinated with (and deathly afraid of) poison. I grinned at the duke of Spain being mistaken for an alcoholic and the resident calling for a stat (as soon as possible) dermatology consult because “the rash might be gone tomorrow”. I almost cried with pity for the medical student asking a “stupid” question in a conference with some of the area’s top doctors (which turned out to be a really smart question later on). Most times, I felt eager to find out how each story unfolded. Even if the title explained some things already, as in the chapter on the disease that turned out to be AIDS, I found there were fascinating turns in the stories. Dr. Franklin seems to intend his book to be a testament to the old-fashioned doctor-patient relationship. He ends the book by recounting some recent changes in the practice of medicine, like the change from covenant to contract in the doctor-patient relatiosnhip and the increased part money plays. He sounds a bit bitter at this point, because he considers the changes mostly negative but says we cannot go back. I have to mostly agree with him here, even though I am mostly a 21st-century patient so don’t know the era in which Dr. Franklin practised. Some things have improved. Like, when AIDS wasn’t known yet, doctors and nurses didn’t wear gloves when drawing blood, and Dr. Franklin is terribly lucky that none of his team treating the early patients were infected. In this sense, protocols help. That being said, things can go too far, and they probably have. Despite HIPAA and similar laws, I know even today there are practitioners of “romantic medicine”, as 20th-century neurologist A.R. Lurija originally called it and as continued in the English language by Oliver Sacks. What I mean is, there are still doctors who will listen to their patients’ stories rather than just their immediate health concerns. That doesn’t mean all will publish books on their patients, but I’m sure some will. In this sense, medicine as a human-centered profession is not doomed. Cook County ICU is a great example of a fascinating book of interesting medical cases brought to life.